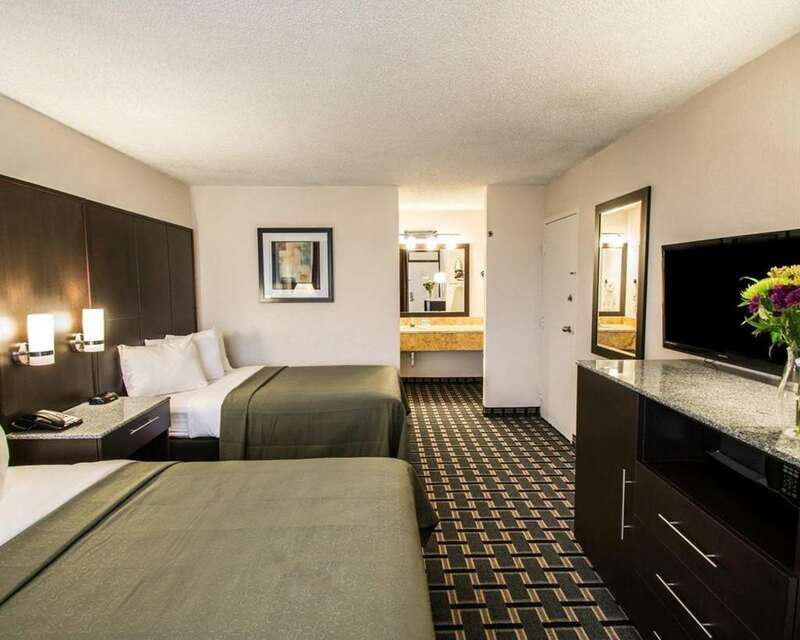 Get more value for your hard-earned money at the pet-friendly Quality Inn and Suites Sebring North hotel in Sebring, FL, which lets you relax and focus on the people and experiences that you came for. We give our valued guests easy access to such attractions as Lake Sebring, Veterans Beach, Highlands Hammock State Park, Lake Jackson, Depot Museum, Donaldson Park and Highlands Ridge Golf Club. Amenities include free WiFi, free ample parking, free continental breakfast, outdoor pool, meeting room, business center and laundry facilities. Guest rooms feature a coffee maker, hair dryer and TV. Also, earn rewards including free nights and gift cards with our Choice Privileges Rewards program. Pet accommodation 10 USD per night per pet. Pet limit 2 pets per room 30 lbs or less.